After a sold-out spring training, Project for Public Spaces is excited to announce that registration is now open for our ever-popular “How to Create Successful Markets” training, which will take place October 12-13, 2018. Led by markets experts David O’Neil, Kelly Verel, and Steve Davies, “How to Create Successful Markets” is a two-day training course in which participants learn the essentials for creating thriving public markets that are economically sustainable, maximize community benefits, and contribute to the creation of public places that attract a broad diversity of people. If you're interested in learning more about how to successfully manage a market in your community, be sure to register soon. This training sells out quickly, and we’d hate for you to miss the chance to learn from the experts. 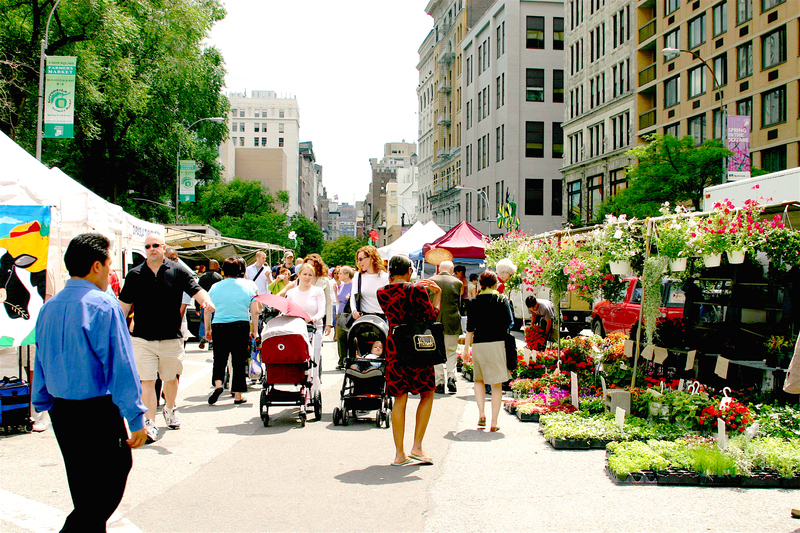 And we know that fall is the most plentiful market season, so come and see what New York has in store! Curious to learn even more about public markets? Sign up for our mailing list and stay up to date on all news relating to PPS’s 10th International Public Markets Conference which will take place in London, UK in June 2019. Organized along with our co-host, Mayor of London/Greater London Authority, the conference will focus on trends and innovations around the preservation and revitalization of public markets internationally. London is home to over 200 markets, and we can’t wait to feature many of them during this three-day event. Registration will open in early 2019, and we hope to see you there!